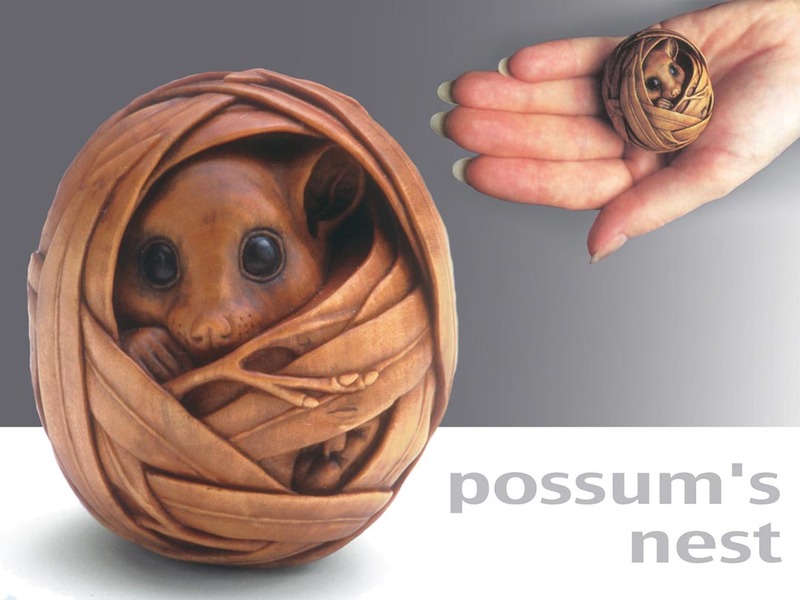 Susan has been carving netsuke for more than 35 years, having first encountered them as a student at the Royal College of Art in London, when she was studying for a Masters degree in jewellery. Her work is in many prestigious collections, including those of HIH Prince Takamado of Japan at the Tokyo National Museum; the British Museum; the Kyoto Seishu Netsuke Art Museum; the National Gallery of Australia; the Office of the President, USA. 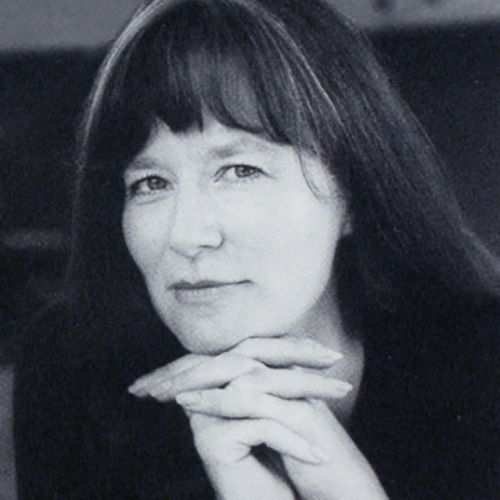 The telling of stories and the way in which we thereby shape our cultural perceptions is a fascination that constantly informs Susan’s work. Its mood is celebratory: an acclamation of all that delights and intrigues her, and of those experiences that mark her life’s journeying. Susan’s imagery is drawn largely from the natural world, which has been a siren call on her life since childhood. She seeks to make pieces that are intimate, accessible, and suffused with narrative; although each carving is made as a personal, and often private, expression, she also wants the work to engage the onlooker and she enjoy the ways in which others contribute thoughts and memories of their own to the life of her carvings. 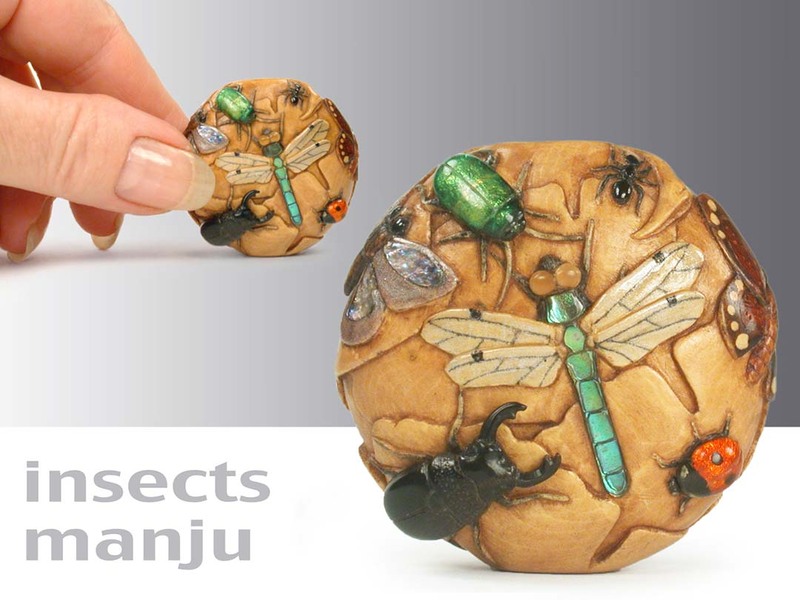 Netsuke are an ideal vehicle for these intents. 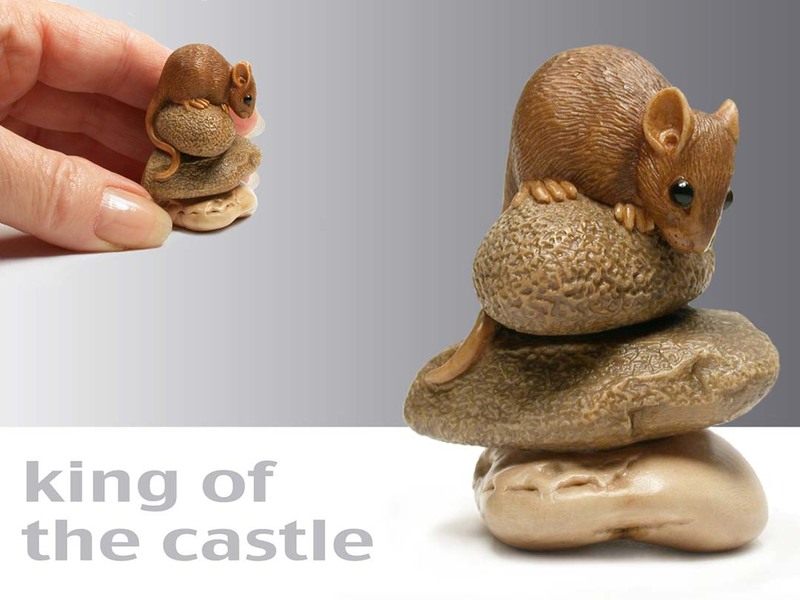 The tactile nature of netsuke is a further attraction, as it creates another bridge between artist and owner. Netsuke need to be seen with the fingers as well as the eyes. Working comfortably within a craft that has a long and rich tradition Susan finds that she strives not so much for a new way to look at the world, but rather for new things to say about it. 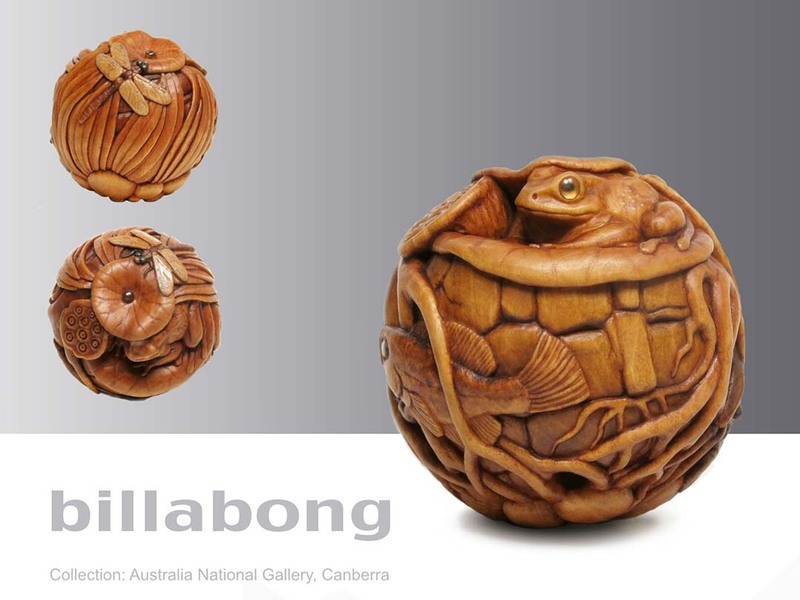 Susan also enjoys the acquisition and use of skill that the carving of netsuke demands, and the way in which this enhances the fluency with which she can articulate her ideas. Pick one up; listen to the story it tells.